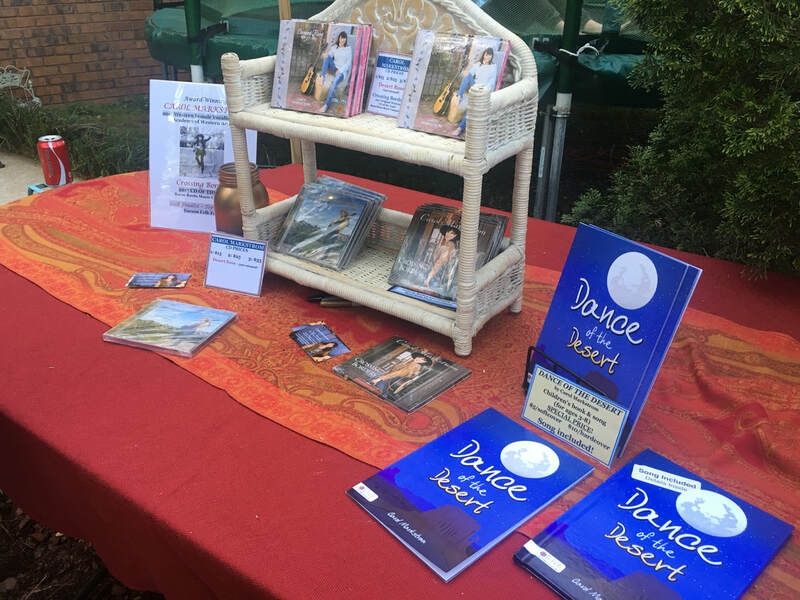 ​I was so pleased to be the featured musician for this wonderful Gathering! 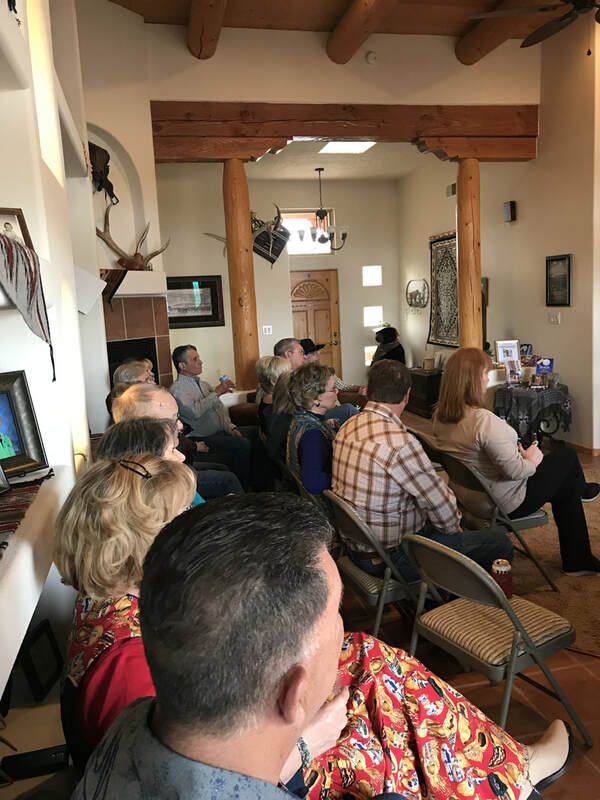 Three shows--two sold-out--for the good folks in and around Mesquite, Nevada. 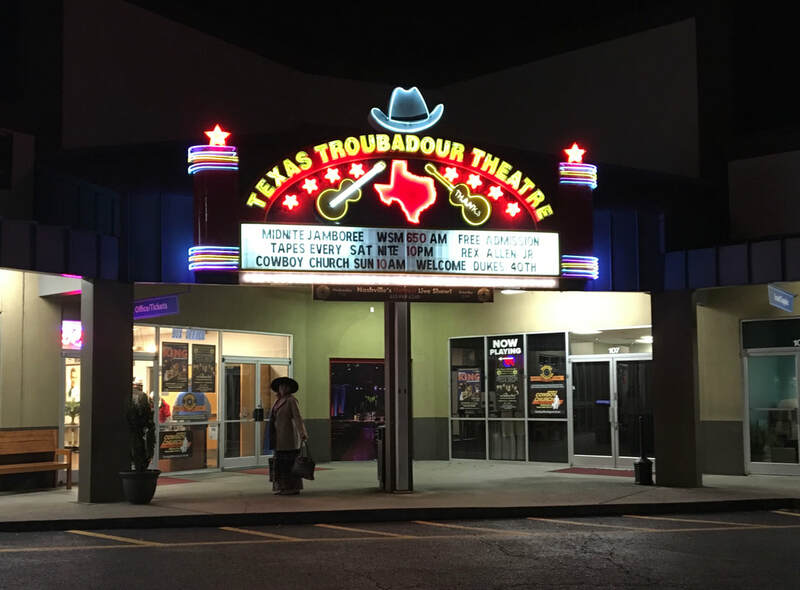 This is the second-longest running live radio show in the World from the famous Texas Troubadour Theatre in Nashville! 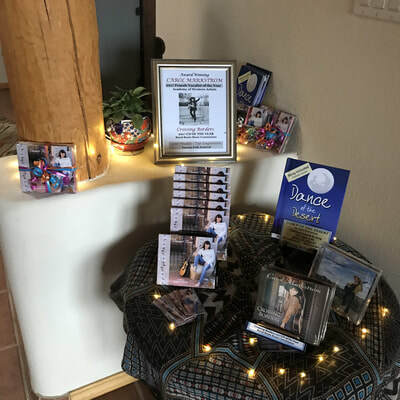 I was Rex Allen, Jr.'s special guest for the January 26, 2019 show. A wonderful live audience and we went out on the airwaves and into the archives at midnight! 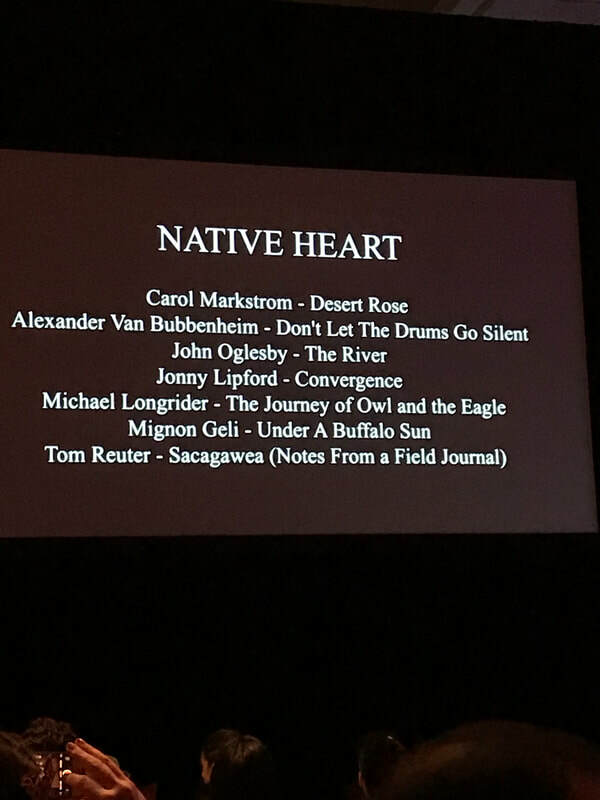 I was so honored that my 2018 Desert Rose album was a finalist for the Native Heart Award. 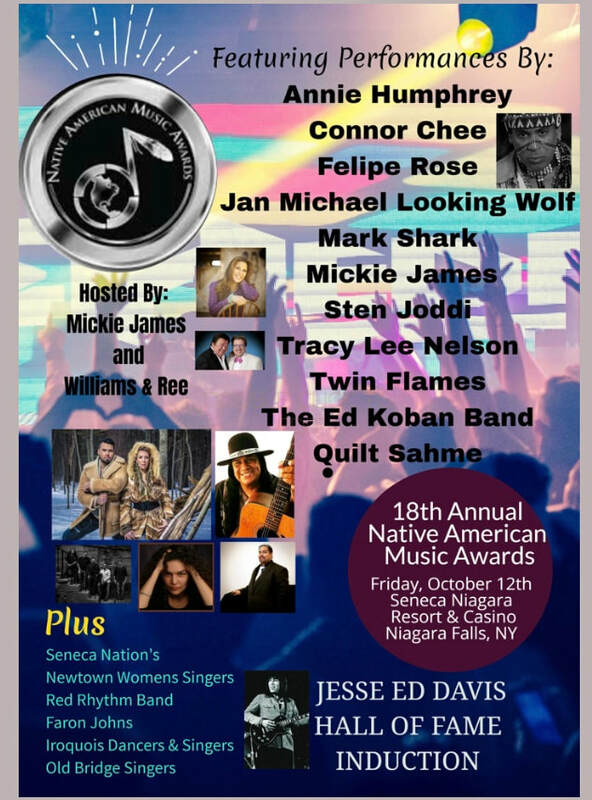 It was a wonderful weekend at the Seneca-Niagara Hotel & Casino. 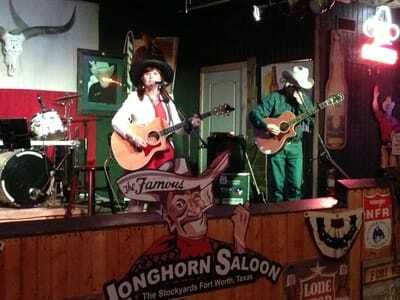 I made new friends in the Native music genre and enjoyed outstanding music. Be sure to click on each pic and read the captions. 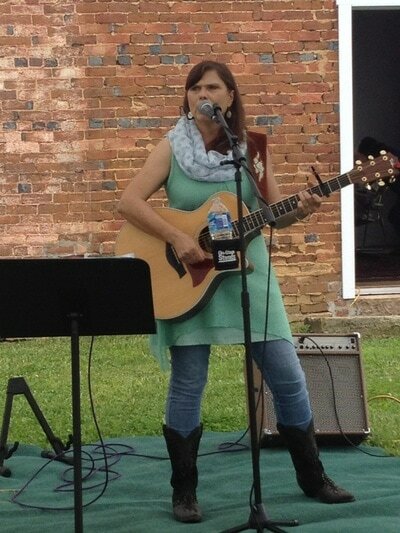 Labor Day Weekends, 2018 and 2017, I was at this Festival to receive awards and perform. I was so honored to receive the 2018 Country & Western CD of the Year Award for my album, Desert Rose. 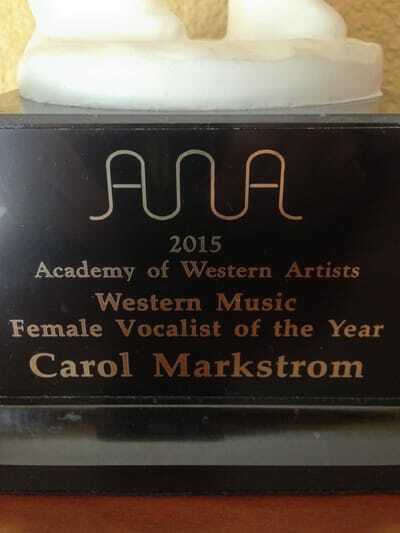 In 2017, my Crossing Borders album received the Original Western CD of the Year Award. 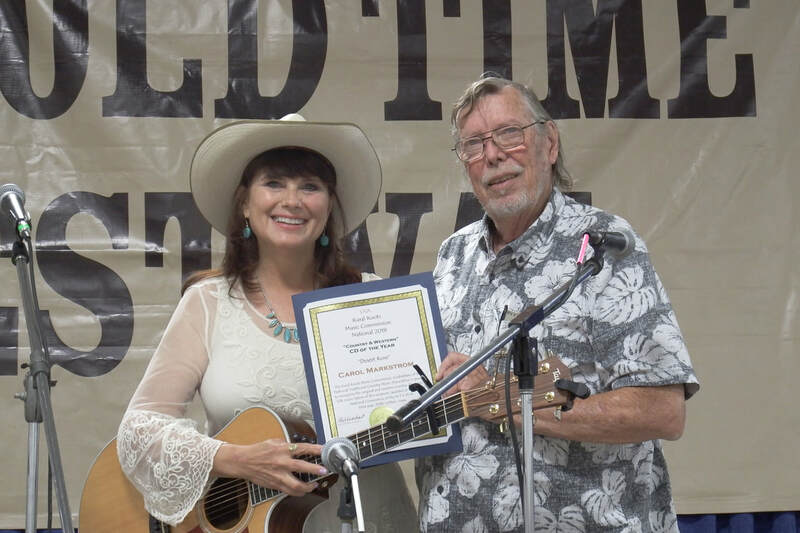 Thanks and appreciation are extended to the Rural Roots Music Commission and Bob Everhart for his enormous efforts in organizing this week-long music gathering. 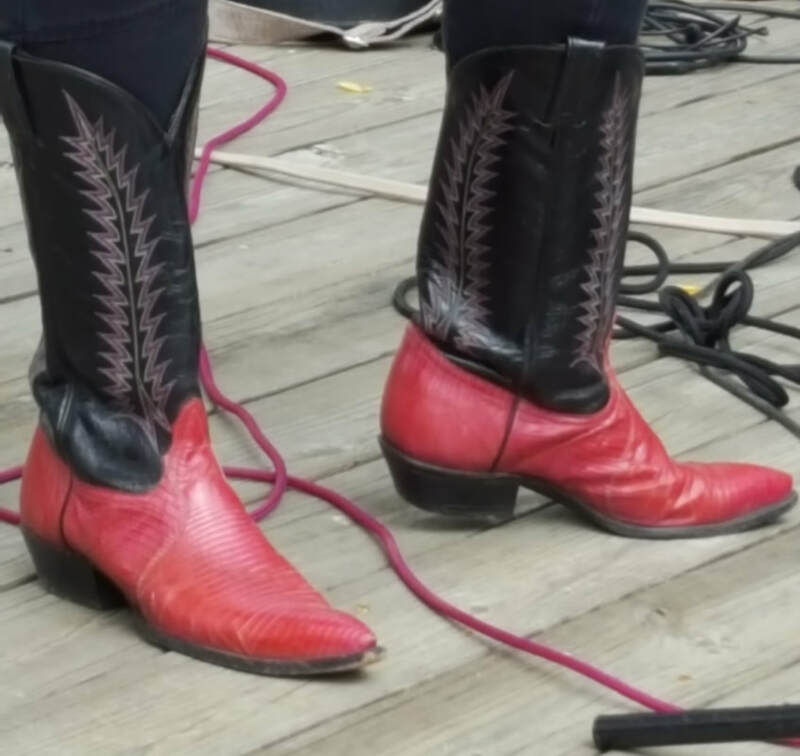 These cowboy boots are made for singing and dancing! Thanks to my boot fairy, I have something to wear for every occasion! 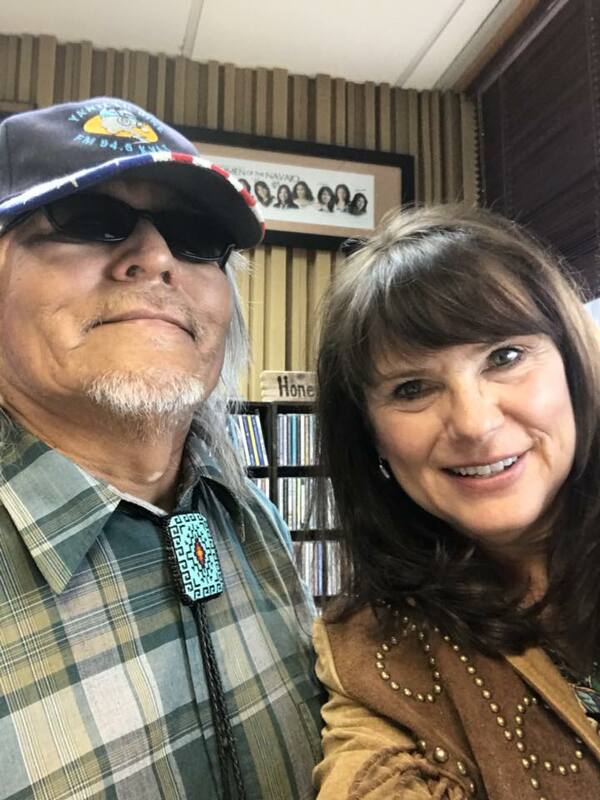 An enjoyable radio interview for folks on the Navajo Nation - March 2018 - promotion of my concert. 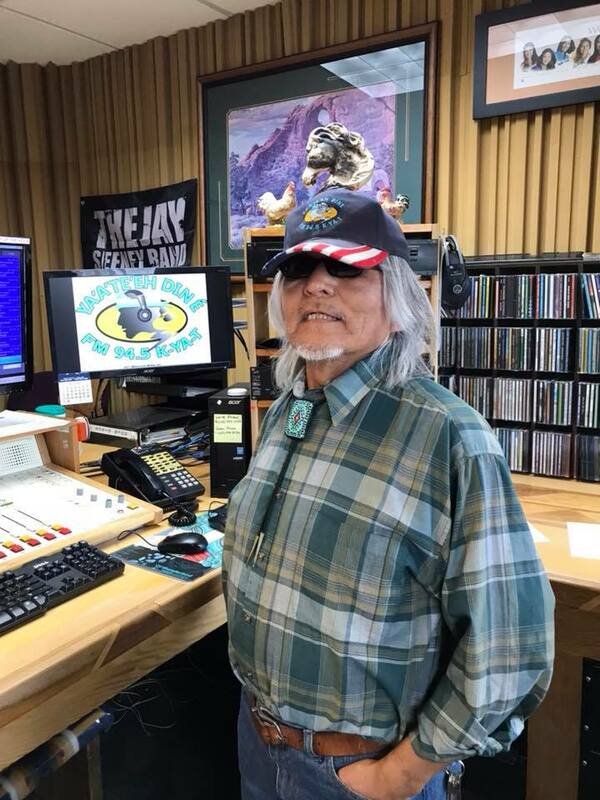 It was interesting to hear both Navajo and English spoken in the interview. This was my second time to win the Western Female Vocalist of the Year Award from the Academy of Western Artists! 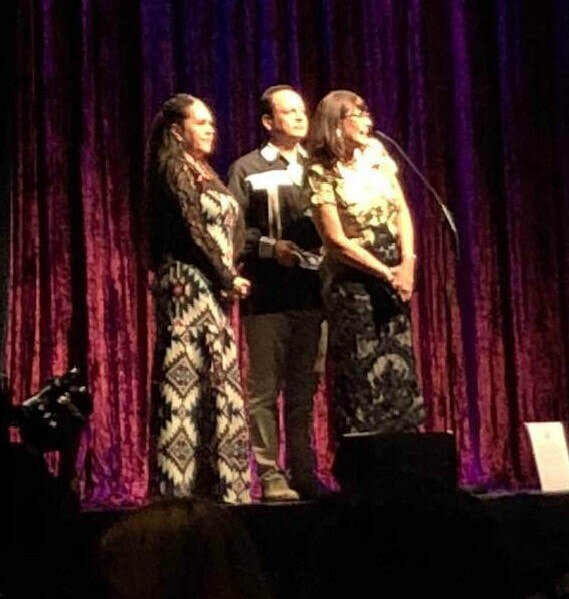 What makes this award so meaningful to me is that DJs select the Top-5 nominees in every category, so I am so grateful for their affirmation of me and my music. Albuquerque friends and fan came out and they were ready to be entertained by the new songs on my Desert Rose album that was released February 2018. It was so wonderful to once again have Jim Jones accompany me. 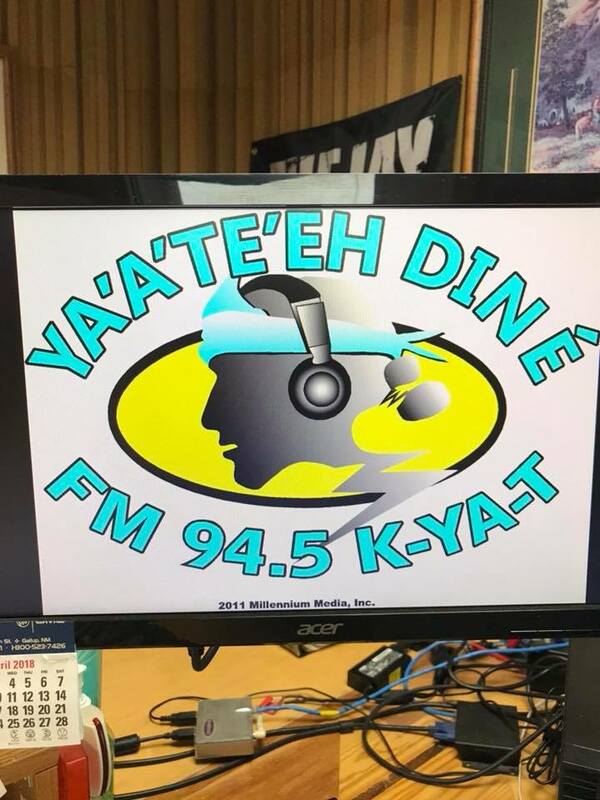 With Soldotna serving again as my base, I performed at festivals and venues across the Kenai Peninsula including Homer, Kenai, Ninilchik, and Soldotna. Salmonfest--the largest outdoor music festival in Alaska--was a highlight this year. Performances also in Anchorage, Eagle Creek, and Talkeetna. 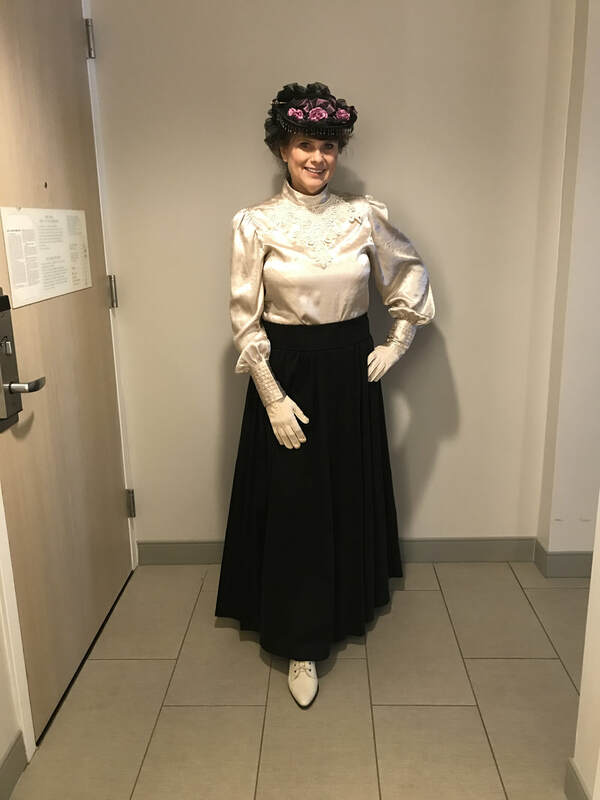 I perform in the relaxed coffeehouse atmosphere of Fiddler's Dream a few times a year. I love the audience members who are there exclusively to listen to live, acoustic music. They are ready to be entertained! This photo from March 2018. This is a hugely enjoyable event the first weekend of May every year. 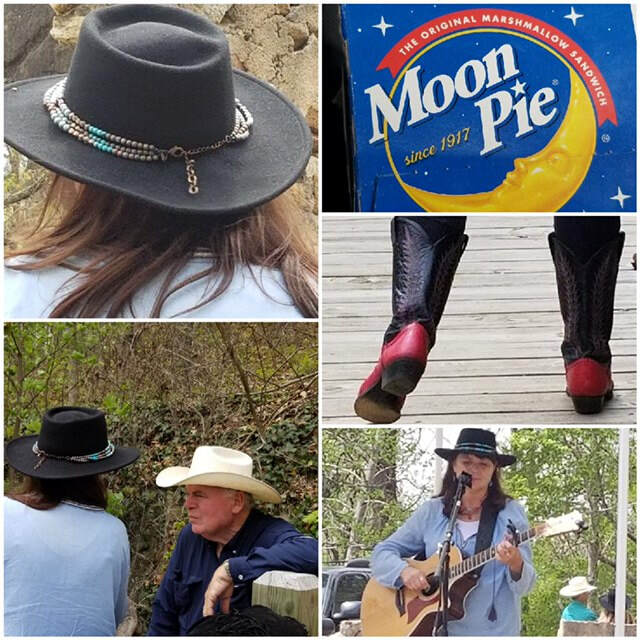 Here are pics from 2017 and 2018 - you can see I'm getting ready to head out to the Songwriter's Competition in 2018 in which I was a top-10 finalist! "Here I go, on the road..." Hey, I think that's from one of my songs! 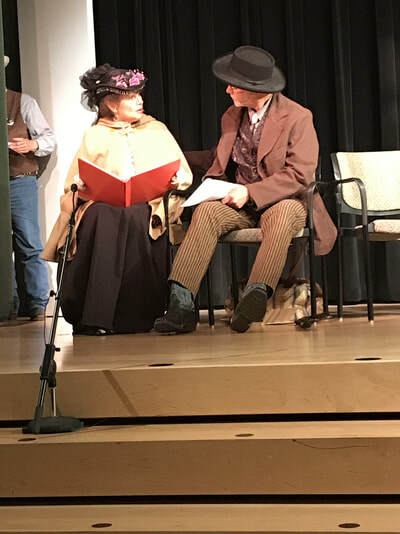 A slight deviation from music, but here I am as Mrs. Lucy Mallory in a script reading of Stagecoach at the 2017 Annual Meeting of the Western Writers of America. Jim Jones, who sometimes accompanies me in music, was the very attentive Mr. Hatfield. 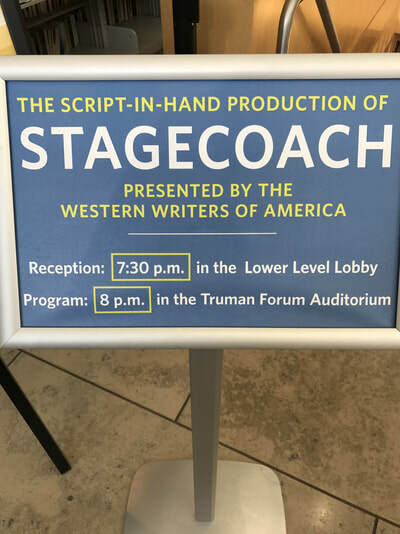 Under the capable direction of Emmy-winning producer and director, Kirk Ellis, we were a hit in Kansas City! 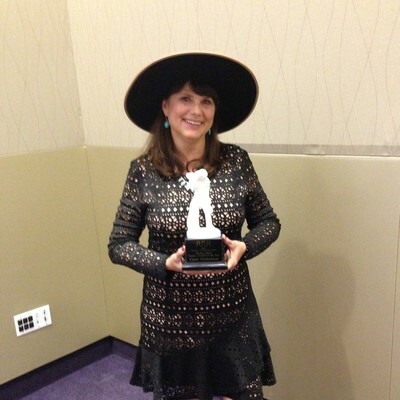 Janice Deardorff and I teamed up and took "Women of the West" on the road to Phoenix. Music is therapy and we both needed the healing it brings--I was recovering from a torn pec muscle and Janice the loss of a family member--but the show must go on and we're the better for it! 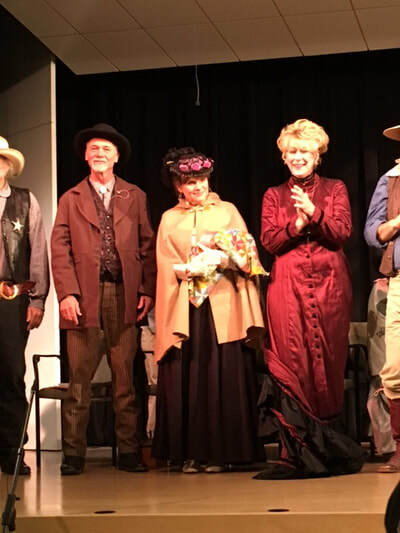 It's always an appreciative and warm audience at Fiddler's Dream. 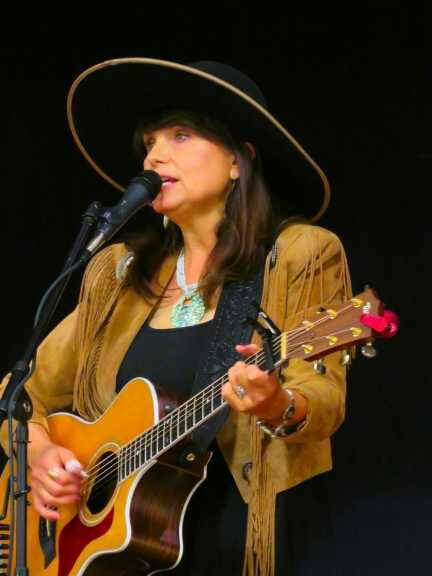 A wonderful four days of performing at local schools, four stages during the Gathering, at an evening jam session, and I was so pleased to be asked to sing a song at the closing Cowboy Church breakfast. 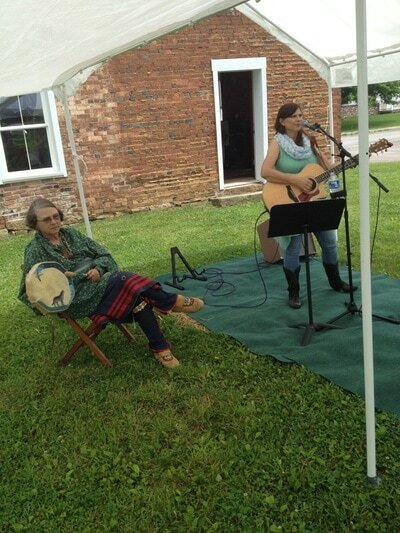 This was my third time to perform at this Gathering not too far from home. Alaska Tours 2015 & 2016! I had a successful solo tour in 2015 and was joined by Jim Jones and Doug Figgs for the 2016 tour. 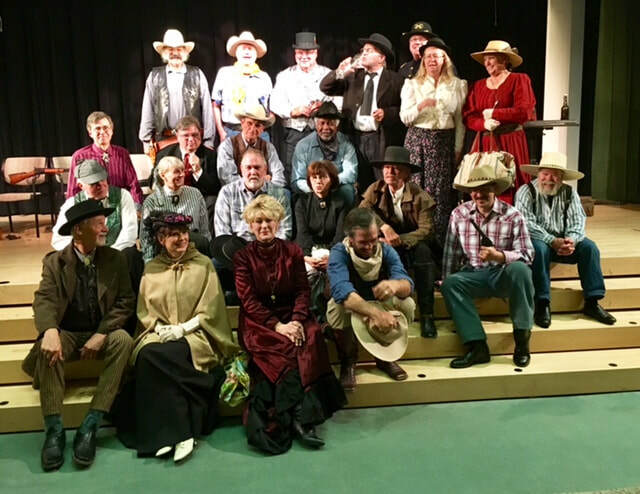 As Western Attitude, we performed at numerous venues around the Kenai Peninsula. Thanks to my brother and sister-in-law who opened up their beautiful home on the Kenai River. We fished for salmon during the day and performed at night! You can see my last catch just before heading to the airport and back to the lower 48. 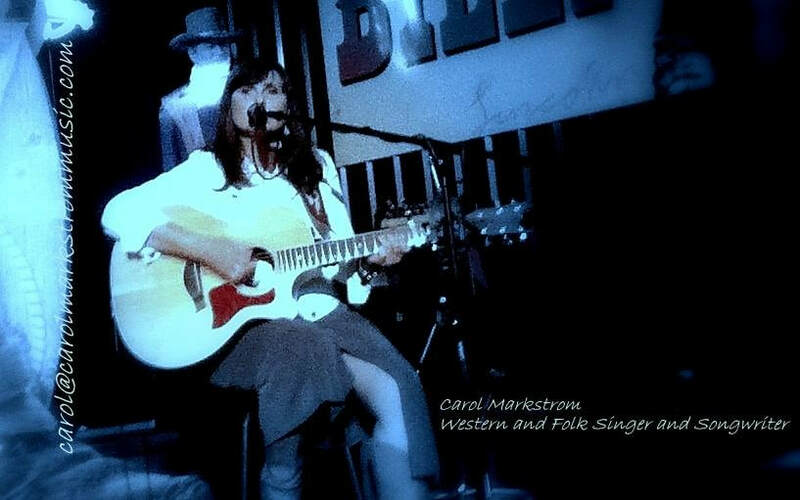 I try to get to Nashville several times a year to visit friends, listen to great live music, and perform. These pics are from Sam's Jam right on Music Row! 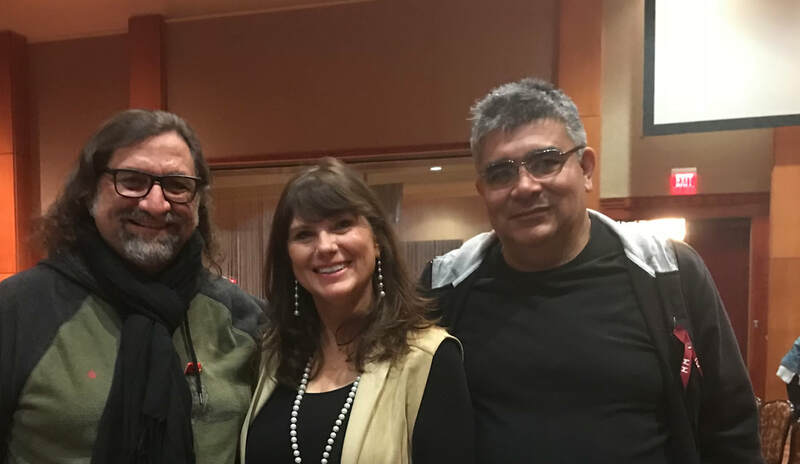 Doug Figgs, Carol Markstrom, Jim Jones, and Randy Huston. 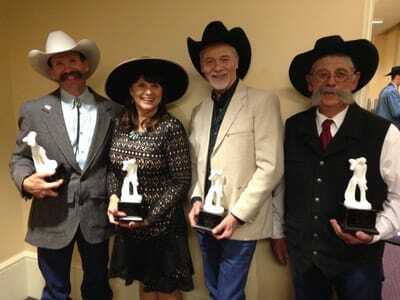 The four of us with ties to New Mexico won various awards. I just had to show off the award. 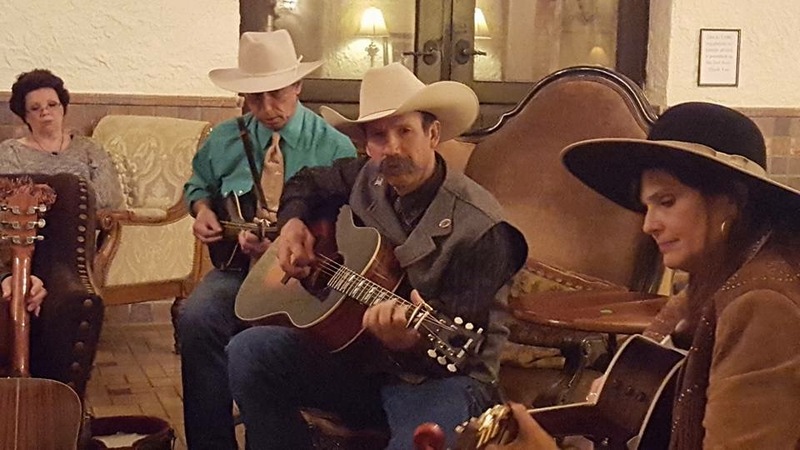 Jim Jones and I were the featured artists for the February 2017 Concert Series sponsored by the New Mexico Chapter of the Western Music Assn. 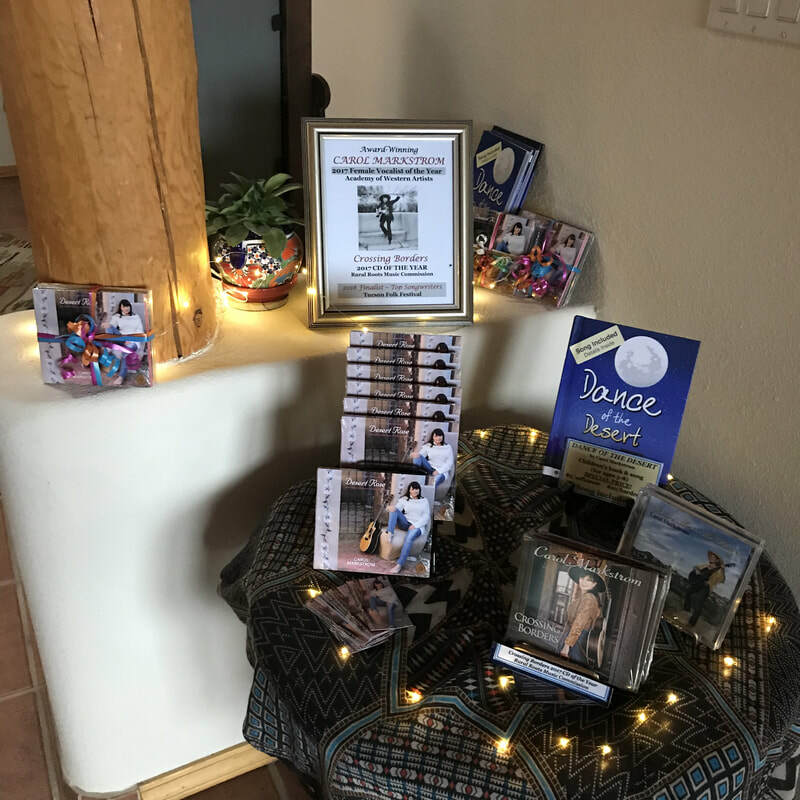 I certainly drive many miles across the states of New Mexico, Arizona, and beyond, but fortunately I have made great friends throughout who offer their hospitality. 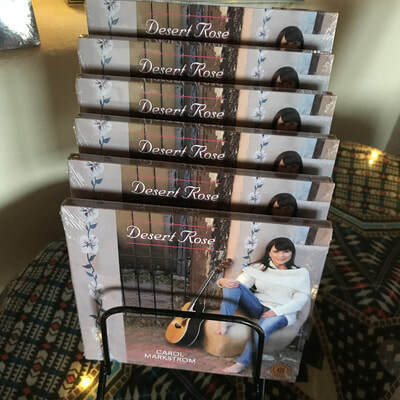 I produced this event to highlight the music of Western female artists in Arizona. 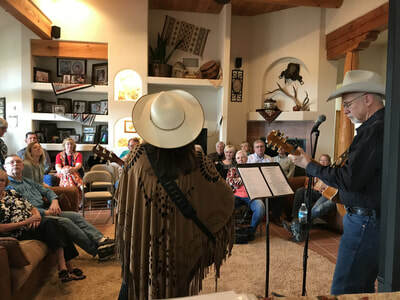 We had a great turnout in March 2017 at Monterey Court Cafe & Galleries. Thanks to the lovely and talented Nancy Elliott, Sherry Walker, and Janice Deardorff for being part of this event, and also our wonderful audience who supported the music of Western female artists. For two years now I've been featured at this event. My good friend Ellesa High (Shawnee) accompanies me on drum and also shares her gift in Native American storytelling. Thanks to Roger Rabalis for setting up these Songwriter's Showcases. 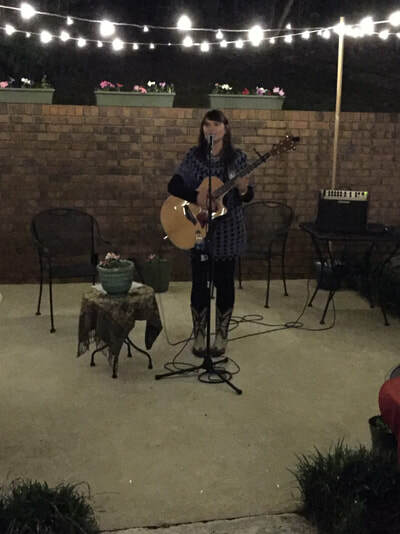 I enjoyed performing at FIRESIDE BAR & GRILLE in Charleston, SISTER'S CAFE in Princeton, and ROUTE 60 MUSIC in Barboursville. 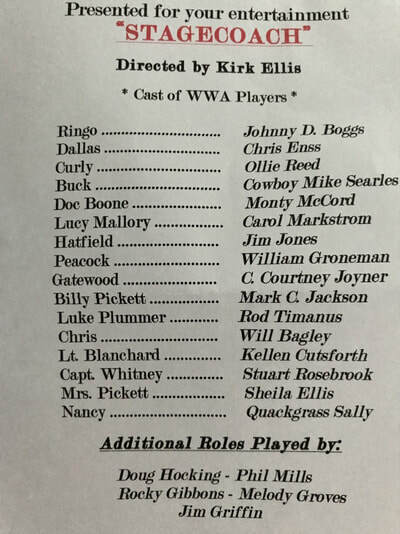 Award-winning John Lilly was with me on stage every night with visits from another award-winner Rob McNurlin and also Sasha Collette. The folks in West Texas are some of the friendliest you'll find anywhere. Here I am at the evening jam session with Kerry Gronbacher and Doug Figgs--two very talented singer-songwriters. 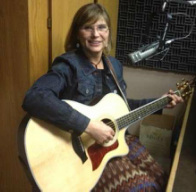 I co-host the nightly music sessions every June at the Annual Convention. The members look forward to this entertainment and are most appreciative. Here is a gallery of photos. Click on each one for the caption. Photo (left to right): Carol Markstrom, Jim Jones, Stan Corliss, Bill Groneman, Kirby Jonas in Bismarck, ND. 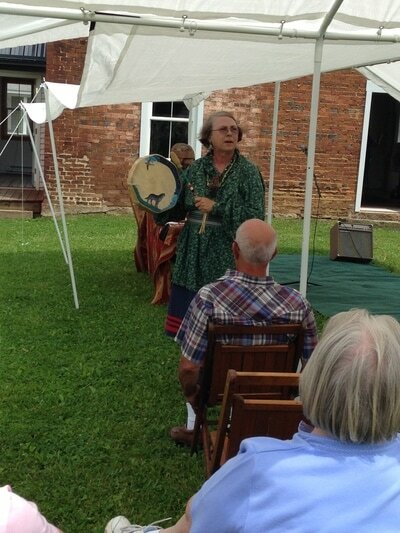 Cheewa James from the Modoc Tribe is drumming while I sing the haunting "Spirit Buffalo." Guess where WWA held it's meeting this year? Posing with Buddy Holly in Lubbock, TX. Dancers performing to Modoc Up written by Cheewa James and me. 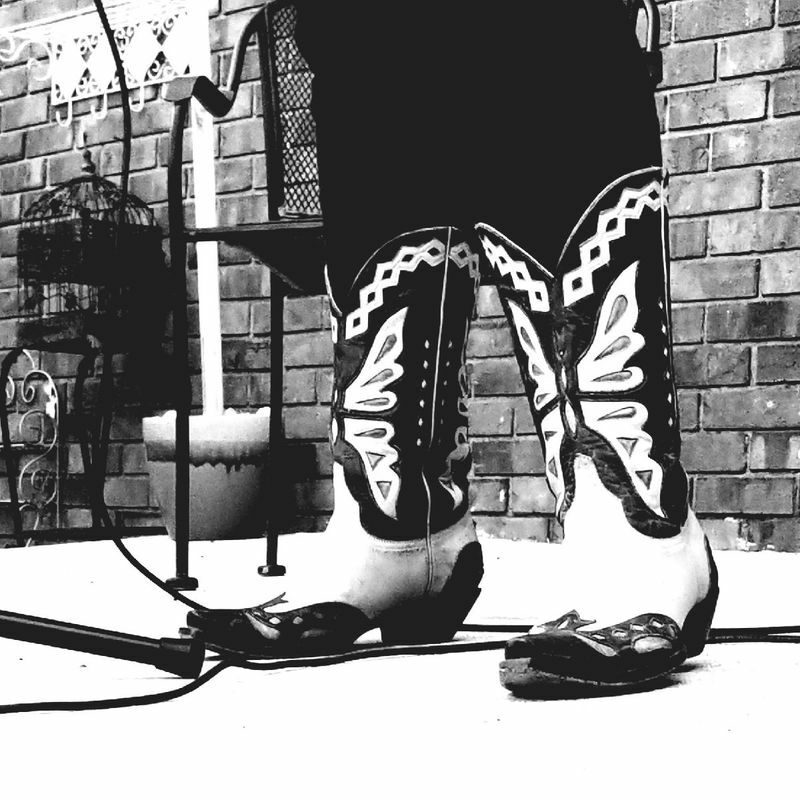 Performing at Albuquerque, NM meetings. 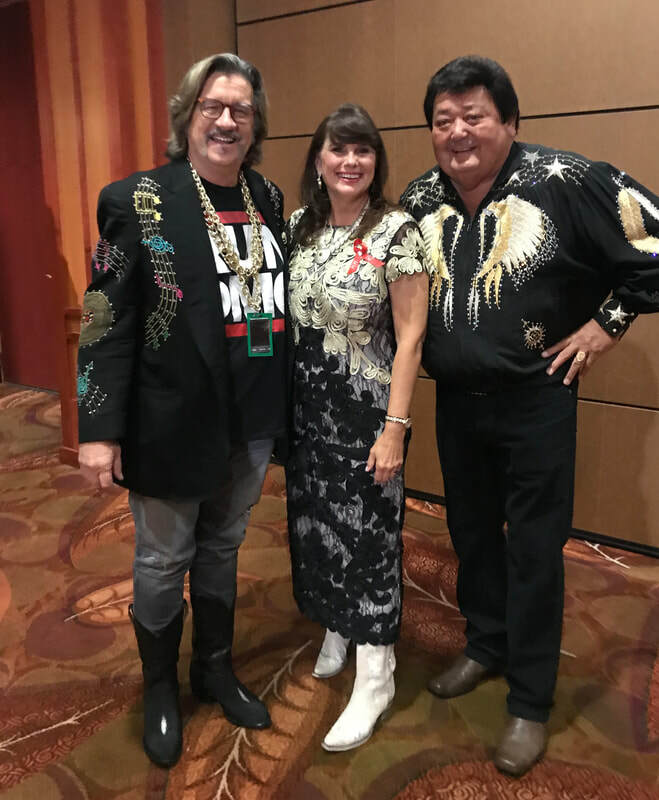 My good friends, the Farley's, came down from the Navajo Nation to hear me perform. I perform at this Annual Convention every November. Here I am on stage during my Showcase with Jim Jones and Ernie Martinez accompanying me. 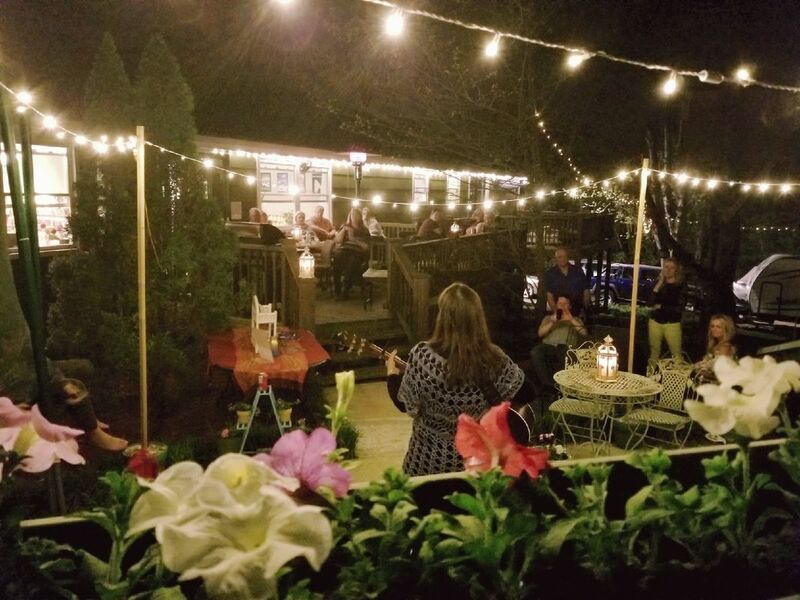 I perform at Showcases, the Friday Night Opry, and at local venues, such as Church Street Café in Old Town and Garduno's Restaurant. 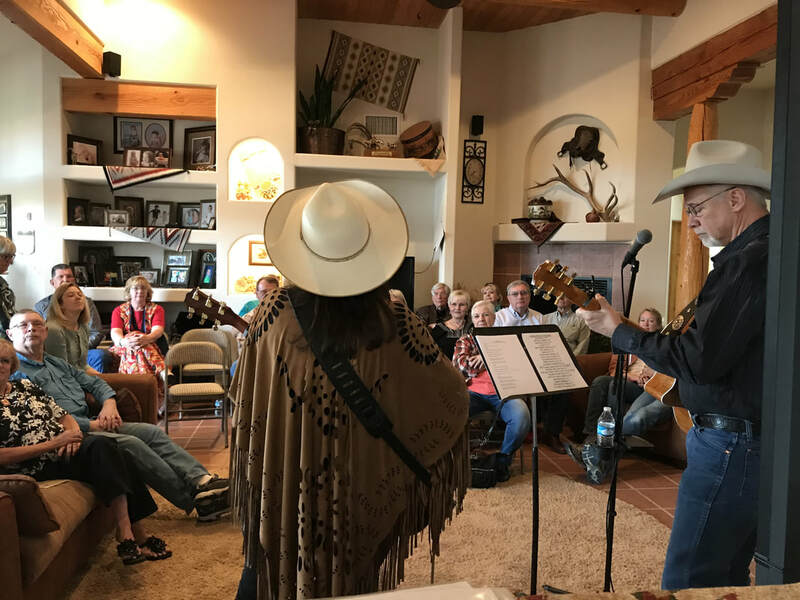 I love performing at Hideout Ranch--remote and picturesque with very appreciative guests from around the world. Tamara is the most excellent hostess! 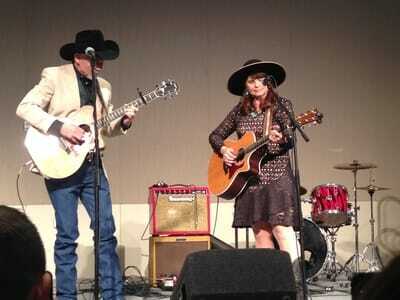 Here I am with Jim Jones at our New Year's Eve performance. 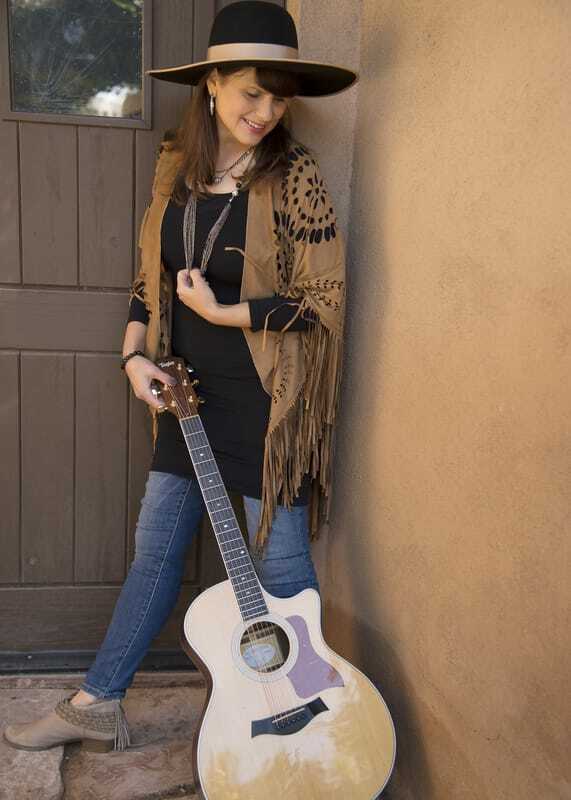 Also check out my girl, Lozen; Tamara understands and she had me ride Lozen because one of my original songs is about the Apache female warrior of that name. This is the place that recognizes Billy the Kid's roots in Silver City. 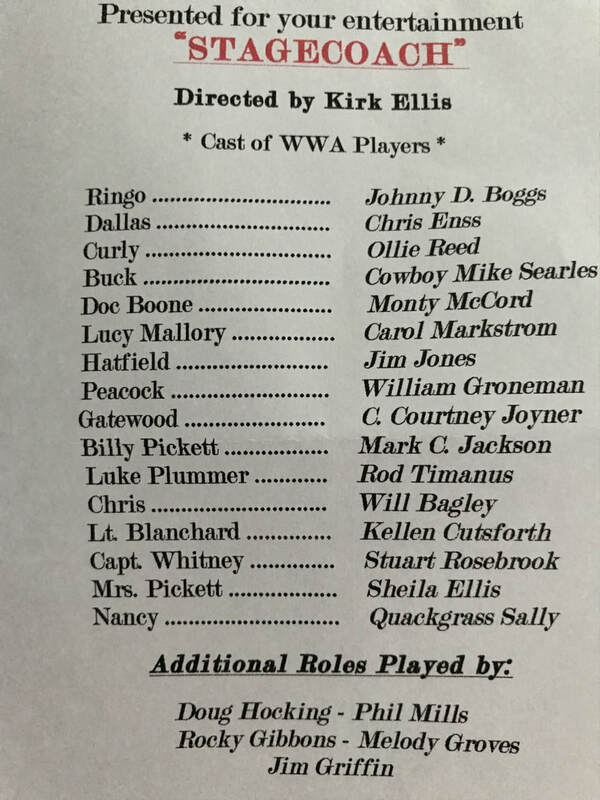 I've had some great times at Billy's! This rainbow is the sight that met my eyes as I drove up to the performance area. On the right, look at the backdrop for my stage! DJ Peter Bruce has been a strong supporter of my music which he plays on "Under the Western Skies." I was pleased to be interviewed for that program and they'll be another interview coming up soon! Black Bear Cafe - CD Release Party for Vision Across the Range! 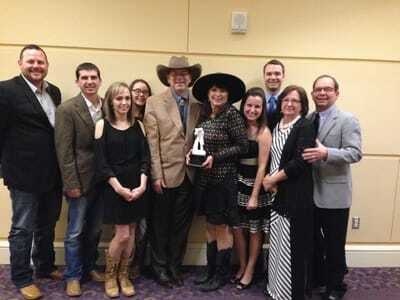 My CD release was a huge success in Morgantown, WV! Thanks to everyone who came out to support this event. 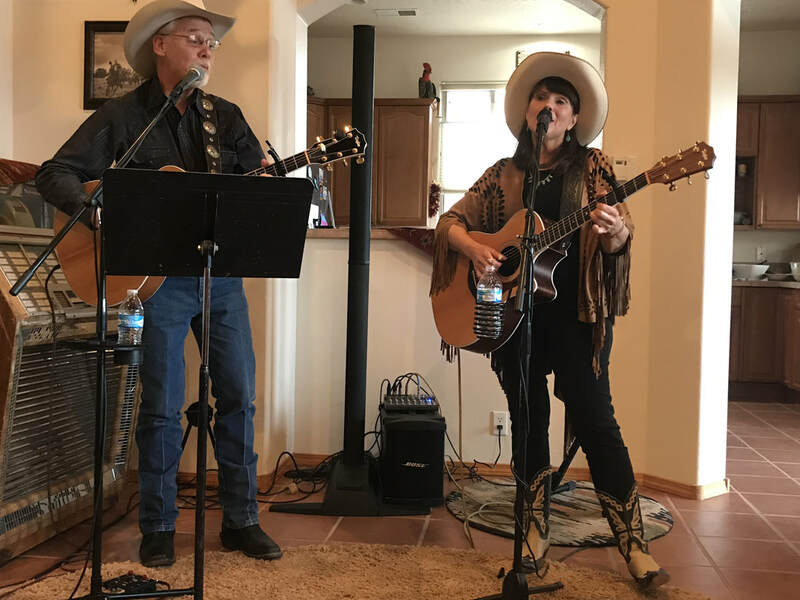 Special thanks to my talented band members--Seth Maynard (also my co-producer) on nylon string guitar, Mike Hofer on mandolin, harmonica, and 12-string, and Chuck Snider on pedal steel. 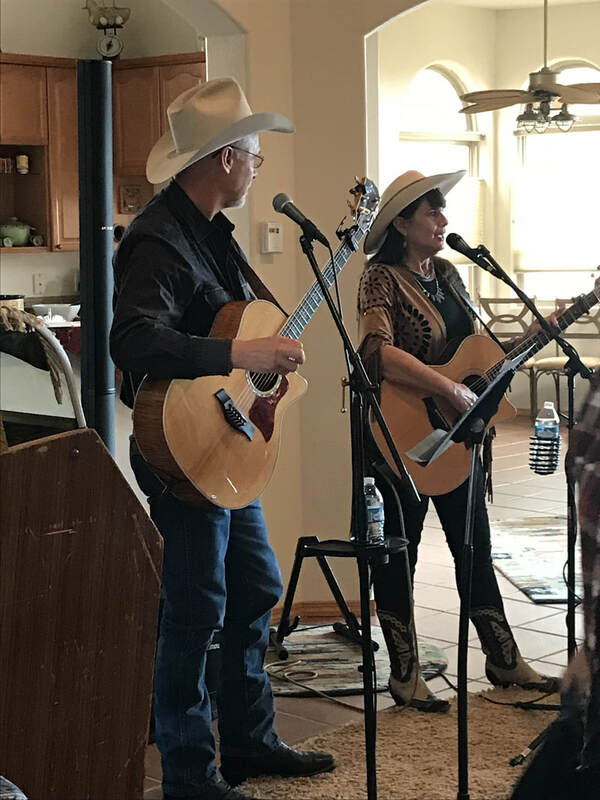 It was a privilege to provide music at this Memorial Rodeo held by my good friends the Preston's who lost their son the previous year. 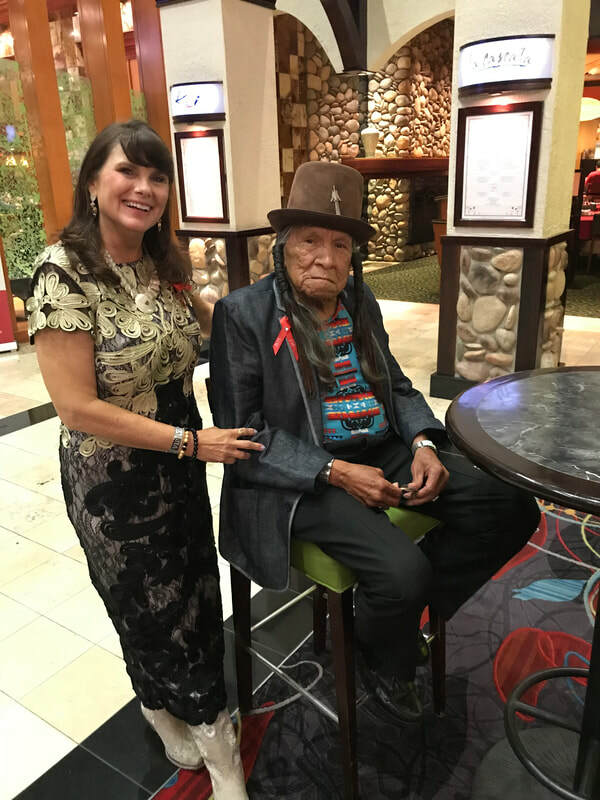 "Chuck" was well-known in the team roping circles as well as an accomplished artist and traditional dancer. 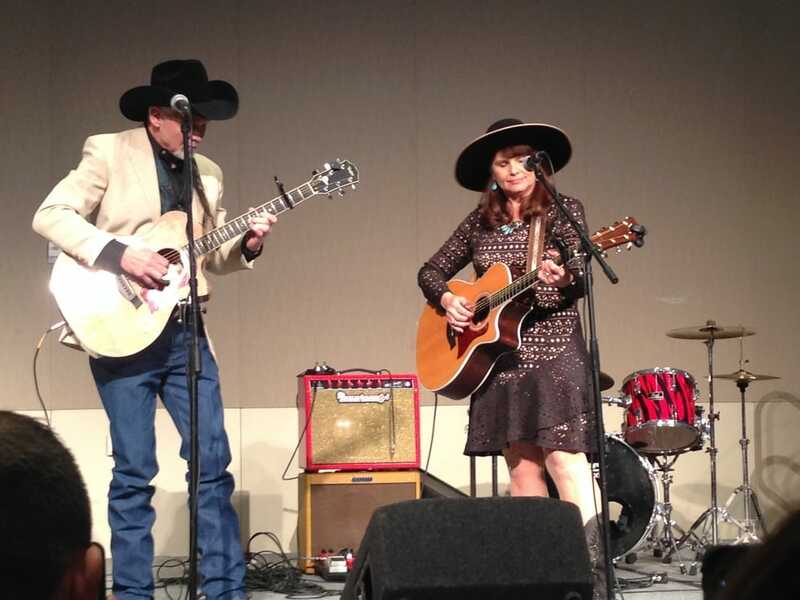 My Vision Across the Range album includes a song I wrote in his honor called "Roger Dale" which was Chuck's given name. The photo is with my friend Rick Uhl who accompanied me on guitar and backup vocals.